If you're looking for a themed outing without the price tag of a full-day resort pass, the many themed mini putt courses near Remy's Refuge will not disappoint! Our friends over at the Orlando Informer Blog put together a Top 5 List that we simply cannot argue with. 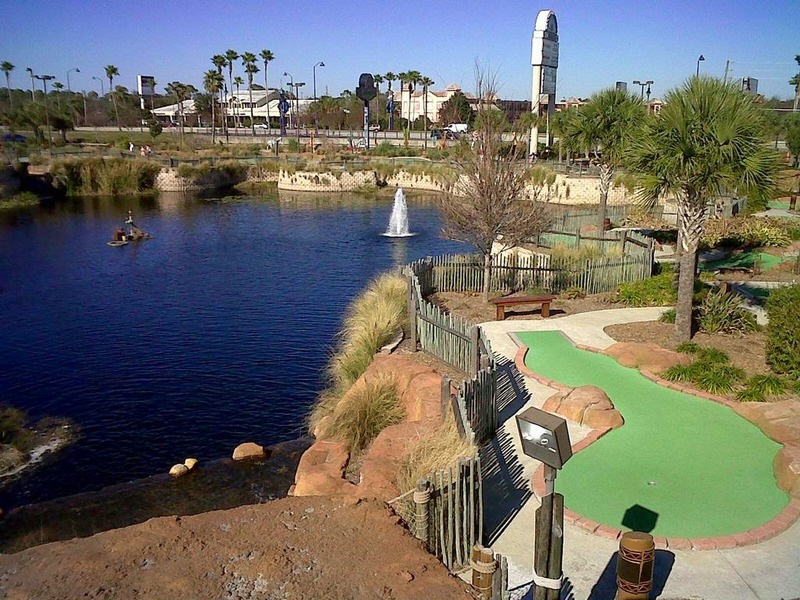 There are multiple locations of Congo River Golf throughout Kissimmee and Orlando. The value of Congo River Gold is undeniable! For $12.99 for adults, $10.99 for kids under 10 and FREE for kids under 5, not only will you play mini putt, but you can meet and feed live alligators, try your hand at mining for buried treasure, play Ubanki hoops (a twist on traditional basketball) and complete a scavenger hunt! At Disney's Winter Summerland, you'll find Santa's hideaway in Florida! 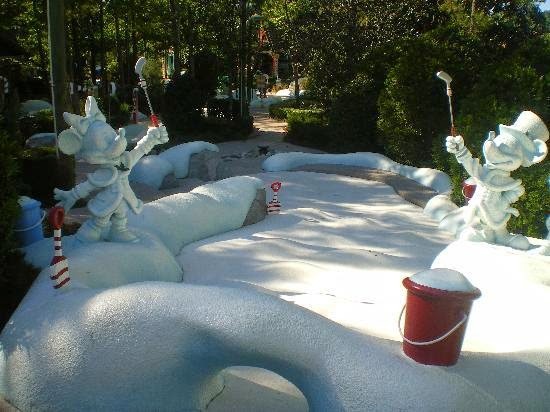 Located just outside of the entrance to Disney's Blizzard Beach (where the story goes that Florida once had a blizzard so bad they opened a ski resort that melted into a water park), Santa moved to town and created not one, but TWO 18-hole mini golf courses. For $14 for adults and $12 for children under 10, you get to play all 36 holes. One walks you through Santa's campground where he and his elves stay in airstream trailers. The second course walks you through Santa's workshop where the toys are made. This is probably the best course for small children. 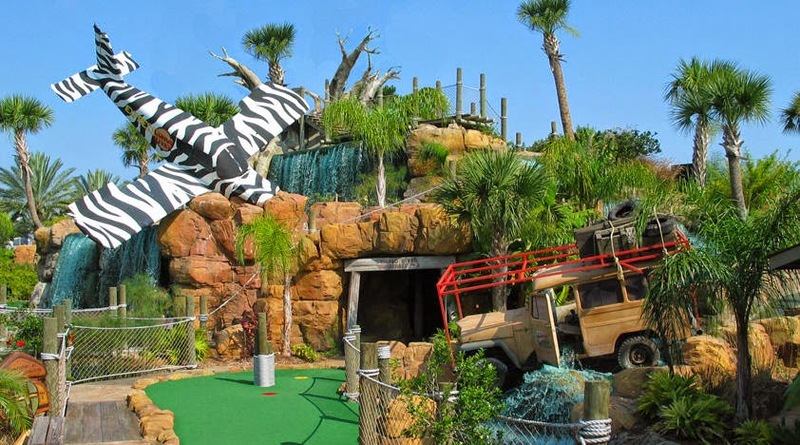 Like Congo River Golf, Pirate's Cove is a national chain that just happens to have two locations in Orlando. 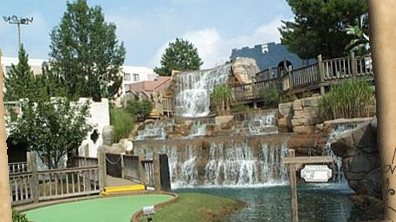 With waterfalls, rope bridges and sunken pirate ships, there are two courses at each location. The Captain's course and the extra-challenging Blackbeard's course. Do one for $12.50 ($11.50 for kids under 13) or both for $20.50 ($18.50 for kids). Located across the parkway from the Swan and Dolphin Resort on Disney property, here you'll find two 18-hole courses that couldn't be more different. Our personal fave is always the Fantasia-themed course featuring dancing hippos and xylophones that your ball can play. The second 18 holes is a traditional fairway with sand traps, water hazards and greens. 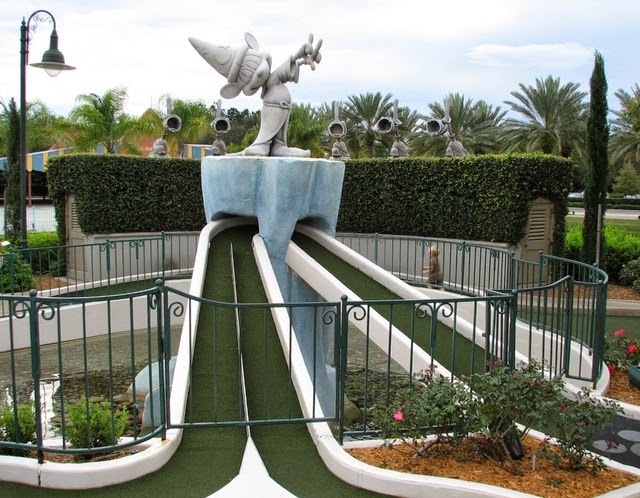 Like the other Disney miniature golf course, for $14 for adults and $12 for children under 10, you get to play all 36 holes. 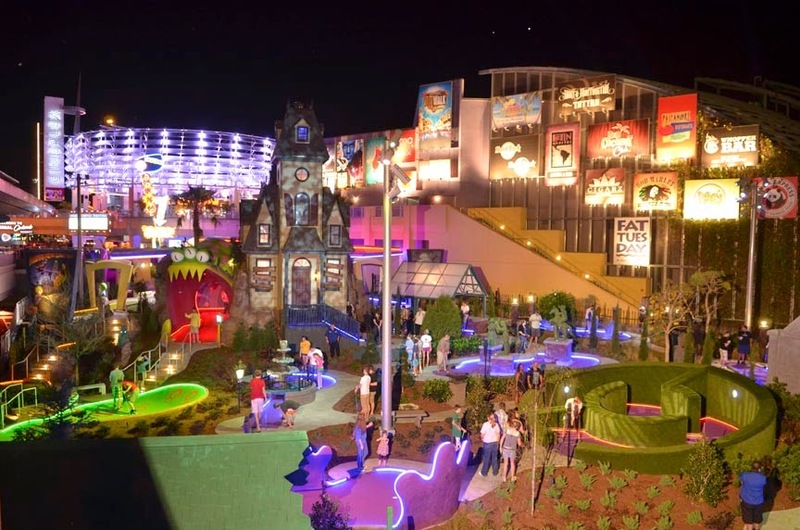 You'll find Hollywood Drive-In Golf at Universal CityWalk. With two 18-hole courses, each with their own theme, this whole place is inspired by movies of the 1950's where horror and aliens were often subjects of choice. The first course is titled "The Haunting of Ghostly Greens" and based on vintage horror flicks. The second course is called "Invaders from Planet Putt". It costs $14.99 for adults and $12.99 for kids under 10 or you can opt for the "double feature" and play all 36 holes for $26.98 for adults and $22.98 for kids. The glowing lights at this place makes it super fun to play at night! In addition to the 5 picked by Orlando Informer, we have a 6th to add to the list. A 30-minute walk or 10-minute bike ride away from Remy's Refuge is Mighty Jungle Golf. Two 18-hole golf courses called "Impenetrable Bwindi Forest" and "Plains of the Serengeti". Located in Formosa Gardens Village, there are also several restaurants nearby so you can make an afternoon of it!